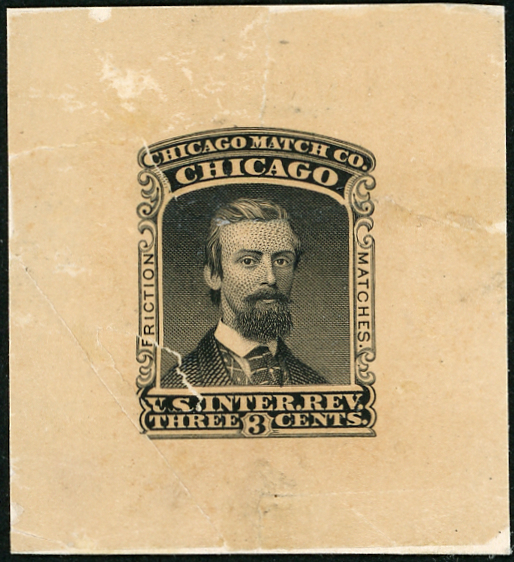 The Chicago Match Company was a short-lived venture. The owners were furniture manufacturers, and did not spend much time in the match business. Their stamps were issued from November of 1865 to mid-July, 1866. 292,666 were issued on old paper. Most are poorly centered. 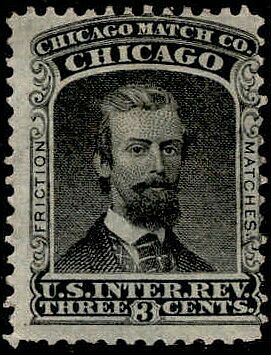 An india die proof of the Chicago Match Company stamp mounted on cardboard.